Paytm is giving great offers on recharges this time for samsung device users Paytm offers Rs 200 cashback on recharge of Rs 200 and above.This is one of the great offer, if you are planning to recharge ,then it is an awesome pick for you. 1. Download Paytm App . 2. Sign in or register for paytm account. 4. Enter Mobile no. ,operator , amount and proceed to recharge. 5. Proceed to checkout . “Galaxy600 applied Rs 200 cash back will be added to wallet within some time”. Promocode can be availed once per user. 1. Download rooted bluestacks in your pc. 2. Now download bluestacks tweaker. 3. Download the samsung prop file. 4. Start Bluestacks and start bluestacks tweaker as admin. 6. 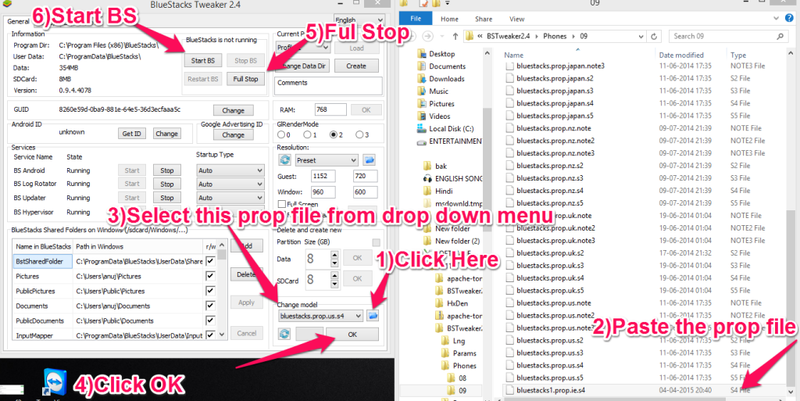 Now click on the folder icon and you will see all prop files. 7. Now copy the prop file which you have downloaded in step 3 in Bstweaker >> phones >> then your selected folders they would be named as 8 or 9 as in mine Bstweaker. 8. Then there is refresh icon below that, click on it. 9. Later in drop down prop list, just select the file which you pasted. 10. Click OK and restart Bluestacks. 11. Finally open Paytm and do a recharge with Rs.200 and apply promocode : GALAXY600. 141 Responses to "Paytm Rs 200 cashback on Rs 200 Recharge[Expired Now ]"
error state 2! is coming. @Admin.. How do u know when it will active again? How do u get the information about it..? paytm ma 200 vary offer chalu se. Also tell me if i want to recharge more than one number in bluestack what should i have to do in tweaker regarding changes..
To change device id,build.prop file,etc. I know,but we should remember that we got to know about this offer only because someone shared. hello will this offer comes agian? is it possible with another number again after reinstalling blue stack?? Hi admin ye 200rs wala koi normal set se nhi use kr sakta kya. Ki sirf sm ka hi phone hona chahiye. Mera set to gionee hai to kaam krega ki nhi.